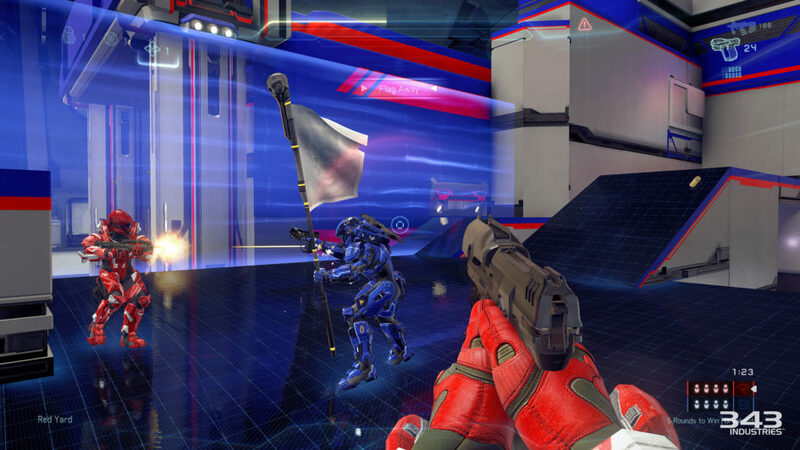 Gamers get the chance to go On the Hunt this weekend as the Halo 5 Summer Series offers a video game tournament and free prizes in participating U.S. Microsoft Stores. On Sunday, September 9, Microsoft Stores and 343 Industries will host the video game tournament, which is free to enter — all you have to do is show up to participate! The tourney is open to all players 13 and up (with parental consent). Xboxes, Controllers and GAEMS Monitors will be provided, just get there in order to take part in the multiplayer madness. Registration (and possible warm up) will begin one hour prior to the event start time and will close 10 minutes prior to the event start time. 4 v 4 Game mode will be played and prizes include 10 Platinum REQ Packs for first place, five Platinum REQ Packs for second place and three Platinum REQ Packs for third place. All checked in participants will be awarded one Gold REQ Pack just for attending! Players are encouraged to register for the event online or just show up early enough to meet new fans and play! Click on the links to find out which locations will be participating in the competition. Tournament starts at 12 PM local time. Please arrive at least 30 minutes prior for check-in. As a lifelong fan of Halo, I can safely say I’m very excited to take part in this event. In fact, I didn’t even know about it until a few weeks ago, after randomly noticing the Message of the Day on the Halo 5 dashboard. The Halo 5 Summer Series officially began on June 3, and for some reason I was thinking it was a one-time-only event, which I missed. I was surprised once I found out it was an ongoing series, so there’s no chance I will miss out on participating. Up until a while ago, I had completed all games within the franchise, including Halo: Combat Evolved, Halo 2, Halo 3, Halo Wars, Halo 3: ODST, Halo: Reach, Halo 2: Anniversary, Halo 4 and Halo: Spartan Assault. I’ve gotten behind in my video game playing lately, so I’m trying to catch up on everything I’ve missed and binge playing Halo 5: Guardians a lot lately. However, I am not a big online player, as I prefer single-player stories more than online matches. But back in the day, I really enjoyed visiting a friend’s house, which hosted LAN parties and playing the heck out of Halo 3 every Monday night continuously for a couple of years. Playing those games were really fun, which is why I plan on visiting the Nashville location (The Mall at Green Hills) on Sunday. I may not be the best at multiplayer gaming, but I really enjoy the overall experience. I look forward to going #OnTheHunt tomorrow and maybe I’ll get encouraged to crank out some multiplayer matches after the competition has completed. Cheers to 343 and Microsoft Stores for bringing a great fan event to Halo fans of all skill levels and enhancing the Halo community.